Canadians are notorious for wanting to hyphenate their identity. I’ve joked before about my ‘Dutch roots’. Truly, it’s a bit of a stretch. While I don’t have any real desire to own a pair of wooden shoes, I do regret not having the Dutch recipes. 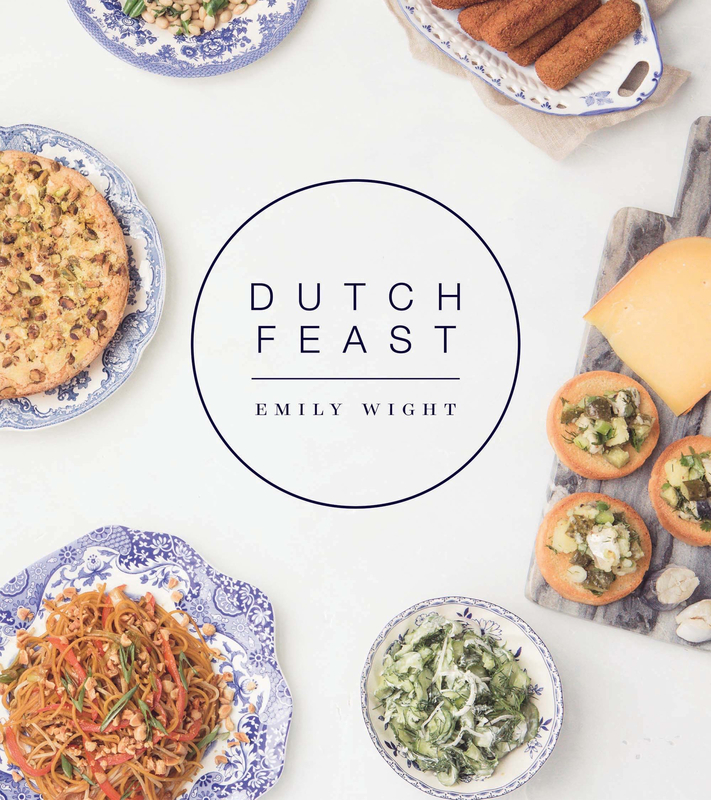 Emily Wight’s Dutch Feast fills in the gap for those of us who aren’t fortunate enough to have these recipes on our own. Unless you count consuming it, I am not Dutch food expert. To make sure that these recipes were authentic, I ran a few of them by my extended Dutch network. They have given Dutch Feast their collective stamp of approval. While I really appreciate the variety of recipes found in this cookbook, there are a couple features of the book that make it less user friendly than I would like. The first is the naming of the recipes. We all have recipes that are named for whomever wrote them or gave them to us. However, I cannot expect anyone else to know it by that name. 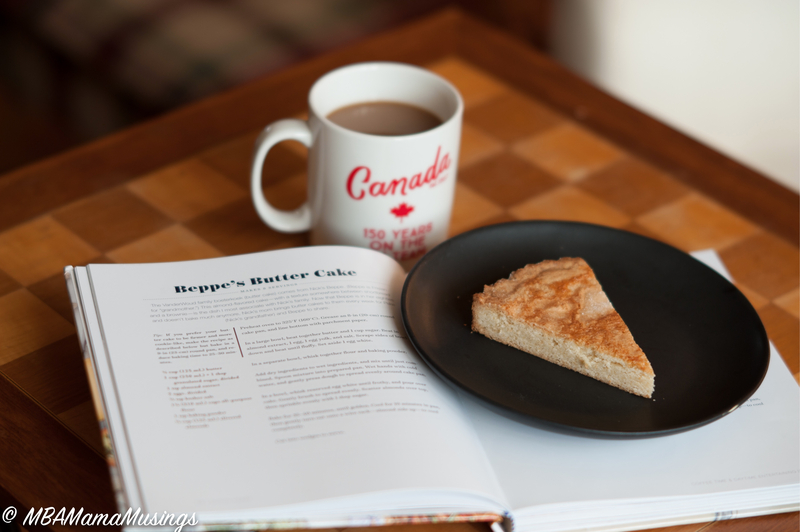 As an example, instead of indexing Butter Cake as such, it is only listed as ‘Beppe’s Butter Cake’. This system of nomenclature makes it difficult to find the recipes you are looking for quickly and efficiently. The second point is that Dutch Feast lacks a recipe for stroopwaffels. At first blush, this seems like a gross oversight. I have always considered these the hallmark of Dutch baking. A quick poll of my extended Dutch community tells me, however, that the majority do not make their own. So perhaps it is a moot point then. I know that I find it incredibly easy to stop by our local market and pick up a package of them there. Not one, but two, of my lucky readers has an opportunity to win their very own copy of Dutch Feast. Enter using the Rafflecopter form below. Odds of winning will depend on the number of eligible entries received. Not responsible for lost or misdirected entries. Contest closes December 19, 2017 11:59 pm ET Good luck! To make this school lunch friendly, I left out the sliced almonds and substituted butter nut flavouring. 29 Responses to "Dutch Feast: Cookbook Review & Giveaway"
For sure a 5! It's my fav Dutch treat! I have a lot of Dutch favorite treats these get a 4 from me. My husband is Dutch so I have had stroopwaffels. And I would rate them a 4/5. Have never made them but we do buy them once or twice a year. Looks like a great book. Thanks for the giveaway. i love them. I rate a 4. I love Dutch food so much, but for me stroopwaffels only rate a 3 on a scale of 1 to 5. Poffertjies on the other hand are a solid 5! I'm a little embarrassed to admit that I have never had a stroopwaffel. My Dutch relatives are probably shaking their fingers at me. I am definitely adding stroopwaffel to my "must try" list. A 3 for me. I prefer the salted black licorice! I have honestly never tried one unfortunately.. shame on me so I can not accurately give them a rating, although from their name alone I would give them 5, they sound and look delicious, maybe I should go try one!! I would say a 4 for me. I never had them and sad to say that I cannot rate. I will have to try it sometime. I need to give them a try! Love them - so a 5 for me. Thank you for this opportunity. I love stroopwaffels at the level of 4. 5/5 I love them! I also enjoy my mom's amazing speculaas cookies at Christmas. My Mother was Dutch and loved to bake. a 5 for me! i love them!!! I've never tried stroopwaffels, but I'm sure I would rate them a 5 if I did. They are a 5 in my books! I had never heard of stroopwaffels; when I looked it up I found I would need a pizzel maker. Don't see me making them. I just moved to a new city and there is a Dutch market a block away. If they make stroopwaffels, I will be able to try some. I hope the book has recipes for my aebelskiver pan!